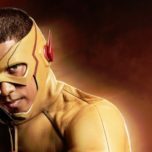 Last week, The CW announced their fall premiere dates for the upcoming 2016-2017 TV season, including the start of The Flash as it returns for its third season which we know very little about as of right now since the season two finale aired. The way the finale ended, with Barry Allen going back in time to save his mother, has been a huge hint to what the third season will be about and today we got another major sign to it happening. 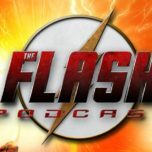 Just a while ago, The Flash himself, Grant Gustin, tweeted out the official season three premiere title after sharing his excitement of reading the premiere script and getting the go-ahead by Greg Berlanti (executive producer & show-runner of The Flash, Supergirl, DC’s Legends of Tomorrow and Arrow) and the title is….”Flashpoint” It hasn’t been revealed yet who is directing the season three premiere or who wrote the script, although it’s probably safe to assume that show-runner Andrew Kreisberg and Berlanti were involved with it. 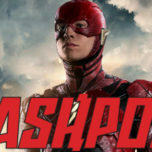 While a lot of you may know what that title is all about, some may be asking, what is Flashpoint? 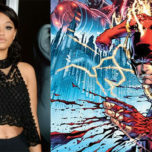 The title refers to a big DC Comics storyline that Geoff Johns (CCO of DC Comics, co-head of DC Films as well as executive producer on The Flash) wrote back in 2011 which lead up to The New 52, a relaunch for the company. The book has also been adapted into a successful animated film known as Justice League: The Flashpoint Paradox which we on the podcast have mentioned several times, along with the book which we recommend you to check out if you haven’t already. More information about Season 3 will be coming out as we get closer to the premiere, as well as San Diego Comic-Con which will be happening next month where we will most likely get a sneak peak at what’s in store for the third season which will start production in Vancouver early next month.